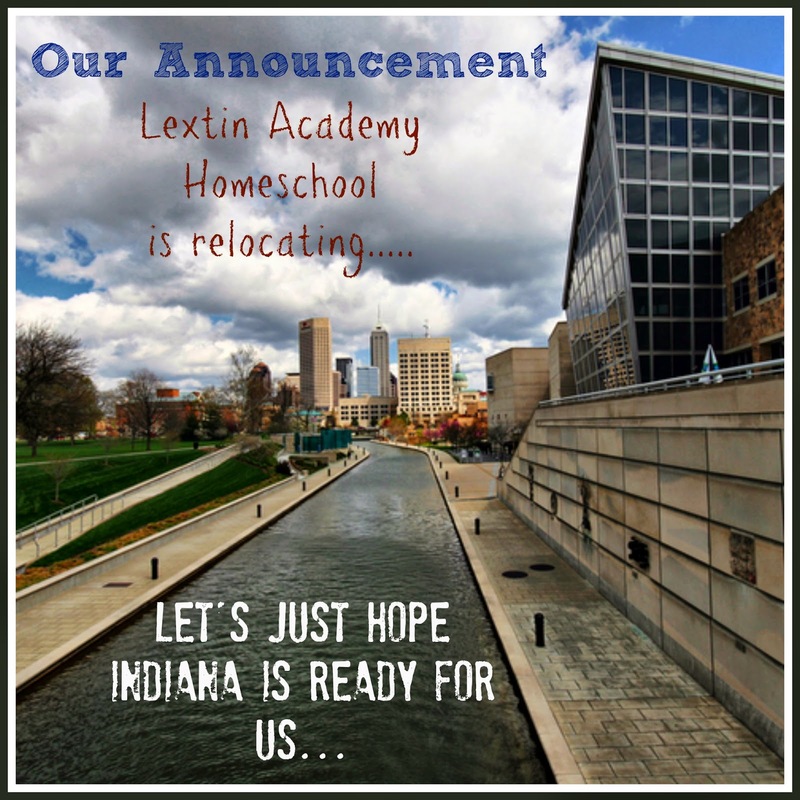 Lextin Academy has some new adventures in store this summer! We are relocating to another state quite a few miles away. We’ll be in a location farther to the north and will experience some cold winters and definitely some snow. My kids are most excited about the possibility of building snowmen this coming winter. So, my blogging might be more sporadic over the spring and summer as we are house hunting, packing, moving, and getting settled into our new house. What brought on the sudden move? My hubby was offered a job at a Financial Research Institute that is part of a Christian university in Indiana. He is the new Director of Research and Scholarship. I’m still not exactly sure what that means…. However, I do know that he will be doing research in the field of Christian financial planning and publishing that research as well as the research of others. He will help create Christian financial planning resources for churches, schools, and families. He will be working with the business school of the university to build out their business program, specifically their Certified Financial Planner program. It’s a wonderful opportunity to work in a Christian environment with some of the foremost financial planning and business professionals. So, where will we headed? 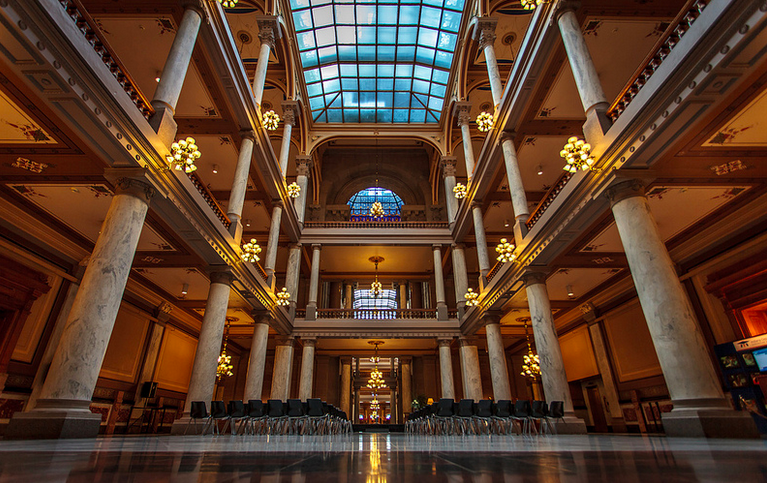 We are headed to Indiana – somewhere outside the capital city of Indianapolis. We are actually headed north on a house hunting trip next week. I’m hoping we find something we love. And I’ll admit, I’m excited about the prospect of maybe having a basement. Those don’t really exist down south where we live currently. His first day on the job was yesterday, April 1st. He will be working remotely from our home office until we are able to move our family. It will be a fun change to have him home around the day during our final months of the spring semester. We’re slowly working to start packing and also plan for our move. We hope to be on the road sometime in early June. Pray for us during this time of transition. That sounds an exciting move and a useful job. Excitement! Stress! All the feelings! So happy for ya'll though! And so glad we've been able to keep in touch through phone and internet!!! Thanks! It's a big move but we know there are exciting things in store for us. Good for your family! We will miss you in Texas but know that great adventures await you. Will praying for the Henegars. How exciting. We moved to Oklahoma from northwest Ohio and we love Indiana. It is a wonderful state. If we were to move back to the Midwest we would go to Indiana. We don't miss the winters enough to consider moving back though! Fort Wayne has an amazing zoo. 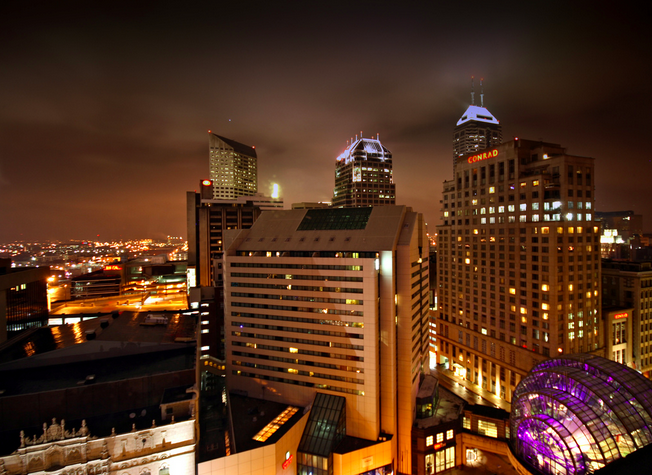 If you can get 88.1 WBCL in Indianapolis, it is a great Christian radio station. Oh, and if you haven't eaten at a Bob Evans, you need to. Aw, now I'm getting home sick. Congratulations to your husband!. I'm excited for you and the children, because there will be a lot of new adventures in store for all of you. I hope you will be able to settle down and make a home for a while. Your family seemed to adjust well to the last move and I'm sure all of you will do the same. I will definitely keep your family in prayer. exciting! we are waiting for our perfect timing to move, too… just waiting for a "sign" 🙂 blessings on your move, new home, and husband's job!